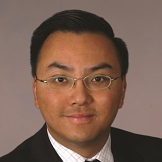 Mr. Joseph Chan is a partner of Sidley Austin, resident in the Shanghai office. For many consecutive years, he has been highly ranked and recommended by leading legal directories such as Chambers Asia, IFLR 1000 and Legal 500. Mr. Chan regularly advises on China’s financial regulations and helps international investors develop their China financial market entry strategies, ranging from such regimes as QFII, RQFII and Shanghai – Hong Kong Stock Connect to other business models for trading, advisory, investment, risk management, and technology licensing services. Financial clients that he represents include global banks, hedge funds, private equity funds and proprietary trading firms.